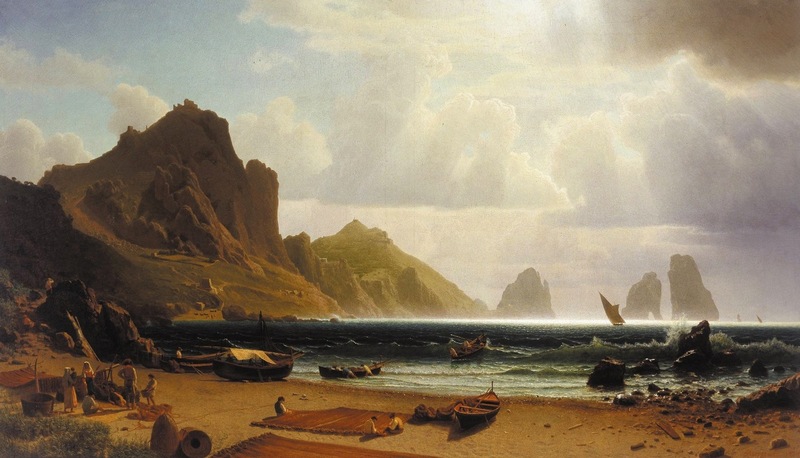 In these exercises, we had to select works of art that reflected techniques of atmospheric perspective or ways of rendering depth or distance by tone, hue, or detail. 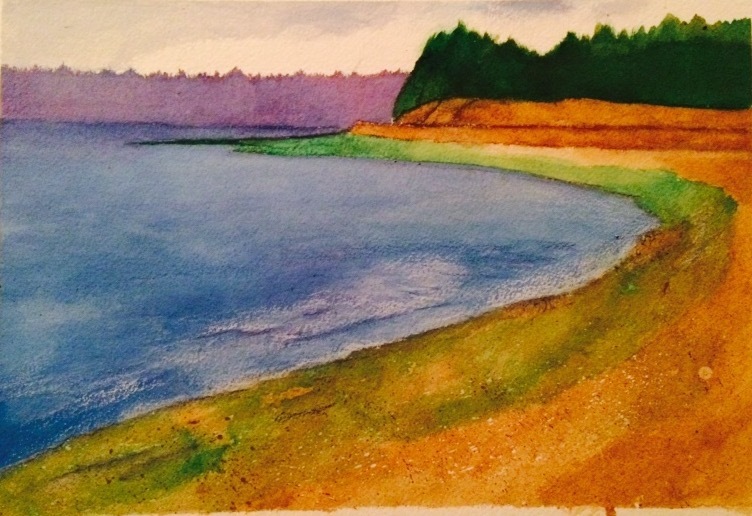 Here are my comments on the paintings as well as my painting of Bracketts Landing near my home in Edmonds (last, exaggerated colors). 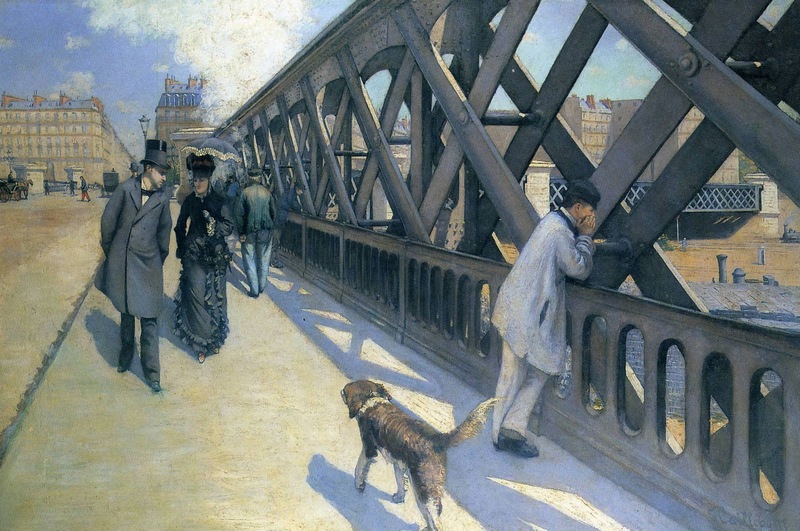 Caillebotte: Closer figures are darker than the ones in the background. Compare the dark dog and figures in the fore grand compared to the light building and person crossing the road in the back. 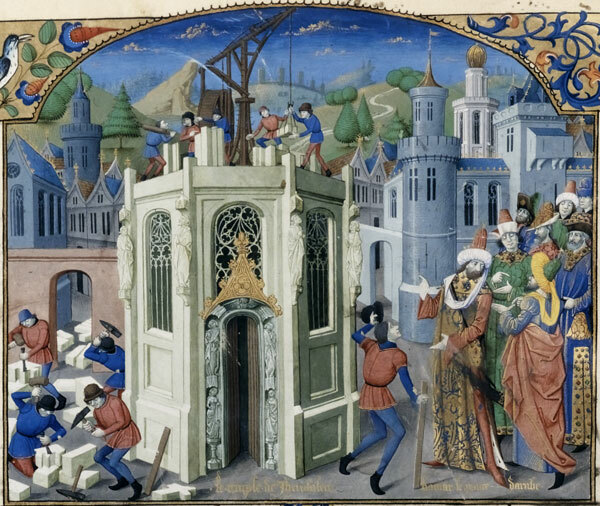 More precise detail is given to foreground figures than those in the distance, mimicking human vision. There is strong one-point perspective composition. The side opening bridge create the illusion of depth. The railing also shows much more detail closer than farther. Michael Orwick: Michael Orwick is a painter from Oregon that my mom recently interviewed. In Misty Morning, atmospheric perspective convey strongly by both the relative sharpness of closer trees and the relative lightness of farther trees. This painting also is a good example of how hue can be used to convey sense of depth. The close trees are orange and brown and trees in the distance behind the fog are more lavender. Bierstadt: In Bierstadt’s painting, atmospheric perspective is conveyed by fine detail in the foreground figures, using shadows and sharp contrast (look at the use of white on the figures). It’s also possible to see details like the fringe on the mats that are being made. In the mid ground, the mountains ad less distinct with a narrower range of contrast between colors. Also Bierstadt show masterful use of contrast differences between the waves close to the viewer and far to convey atmospheric perspective. Seurat: In Sunday Afternoon, atmospheric perspective is conveyed by detail and contrast. 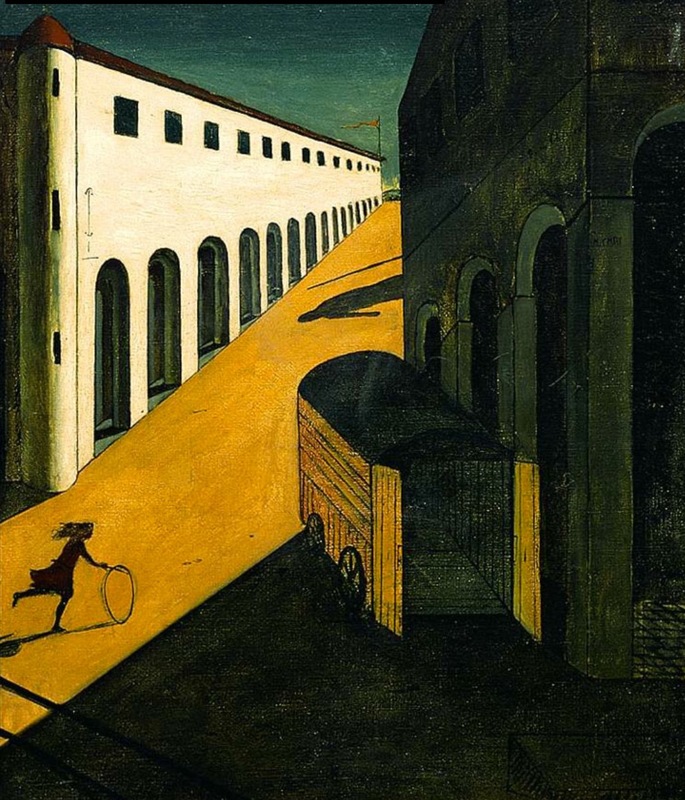 Examples of detail and contrast to create the illusion of depth are notable for instance in the woman with an umbrella in the foreground (strong dark garment and light face) vs. mid ground (more subtle differences in contrast). 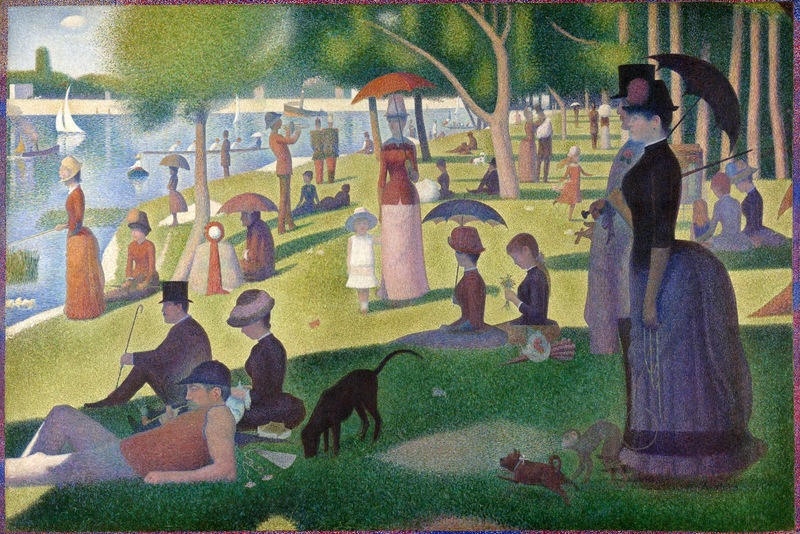 Analysis of hue in this painting is more complex because figures are in sun or shade, but what Seurat does seem to do is have bands of hue at depths that connect characters at that level whether they are in sun or shade, creating a more uniform illusion of depth. 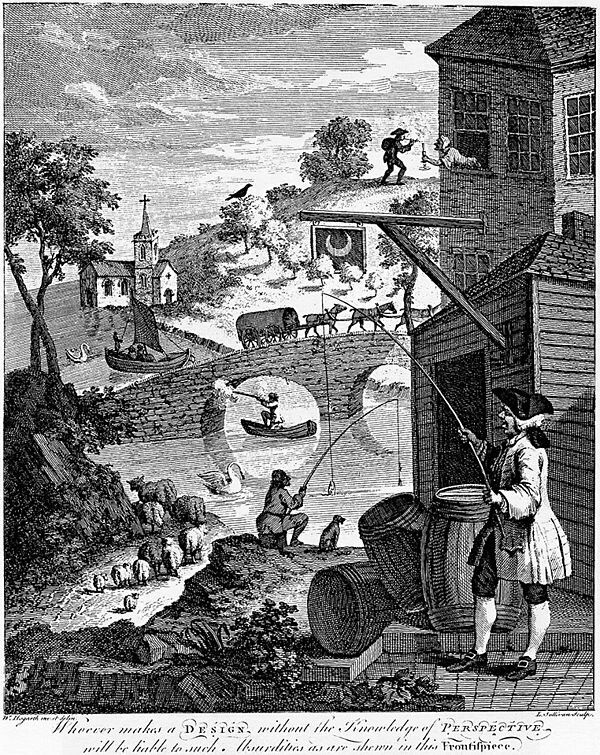 Examples include row of people in the foreground in shadow vs. a little farther back in sun, and then still farther seated in shadow. Brackett’s Landing in Edmonds, WA.